Tiffany R. Paige is a 2002 graduate of Jackson State University with a degree in biology. She received her J.D. degree from Mississippi College School of Law in 2006 and a Master’s in Library and Information Science from the University of Southern Mississippi in 2010. 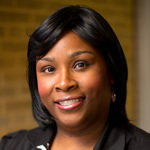 Tiffany is pursuing a Ph.D. in Higher Ed Administration from the University of Southern Mississippi. She has served as Acquisitions Librarian and Instructor of Legal Research for MC Law and as the Reference Librarian for the Mississippi State Supreme Court. Currently, she is the Director of Diversity and Outreach and Assistant Director of Admissions for MC Law where she leads the marketing and promotional efforts of the admissions process for minority markets.